No modifications! Simple to install! Using the NSWKIT to convert your Nashville or Schaller bridge system couldn’t be easier! Simply unscrew the integrated bridge post/thumbwheel and replace with the NSWKIT. You are now ready to install your ABRN (non locking bridge) or Tone-Lock™ bridge! Gives your guitar more pleasing tone by using the best German steel, as opposed to the original Zamac (zinc alloy) bridge posts you will be replacing. For the “Do-It_Yourself” guitar player who wants a little extra from his/her guitar! The iNsert™ is an easy to install system anyone can install! Check out the installation video on the “How-To Videos” link HERE! The perfect compliment to your ABRN (non locking bridge) or Tone-Lock™ bridge! NOTE: The depths of the original insert holes are usually fine for the iNsert™! However, it is best to check the depth beforehand. You want to be sure the hole is deep enough so that the flange will be flush with the body after installation. The BSWKIT will give your Nashville or Schaller bridge equipped guitar the “vintage” look, while, at the same time, enhancing your tone with steel posts that provide much more mass than the original zinc inserts. Combined with the ABRN (non locking) or Tone-Lock™ Bridge, this is the HOT bridge setup for your guitar! 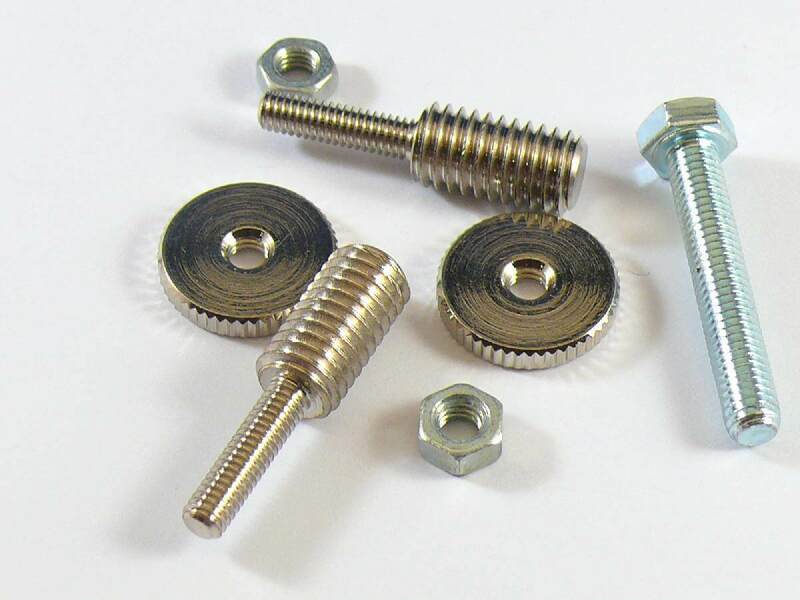 Comes with one pair STEEL studs, pair of separate machined brass thumbwheels and two 4MM nuts for installation. NOTE: Professional installation suggested.